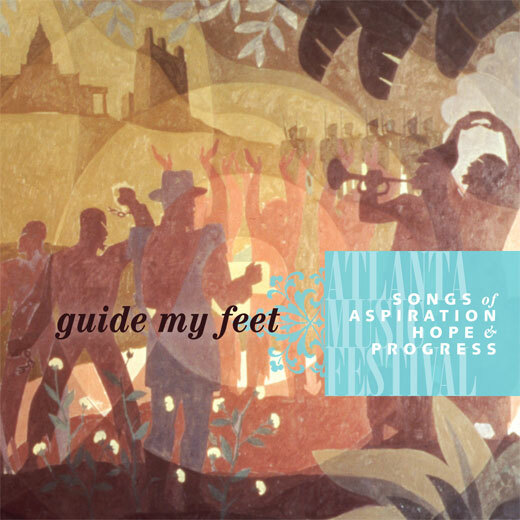 The historic Atlanta Music Festival (AMF) has released "Guide My Feet: Songs of Reconciliation, Hope and Progress" on CD. This is the first CD released by the AMF. The CD features opera star Indra Thomas, tenor Timothy Miller, the Morehouse College Glee Club, the Meridian Chorale, and the First Congregational Church Choir. Narration is by former U.S. Ambassador to the United Nations and civil rights icon Andrew Young and commentary by Emory music professor Dwight Andrews. Andrews is also AMF artistic director and pastor of First Congregational Church, where the festival originated in 1910. Andrews revived his congregation’s music festival tradition in 2001 through collaboration with the nonprofit worship-arts organization Meridian Herald, led by Steven Darsey. Since then the music festival, sponsored by Meridian Herald, First Congregational Church, and, from 2011, Emory University, offers annual performances, engaged scholarship, lectures, a conservatory for youth, and university courses. The AMF explores evolving racial and societal landscapes. “The AMF is a wonderful opportunity to reconnect an important musical expression with its original meaning and context,” says Andrews. From “Lift Every Voice and Sing” to T. J. Anderson’s avant-garde “Call and Response,” the recording presents an array of African American artistic genres and informs the journeys of all races and peoples. "Under Dwight’s guidance and supervision, I worked with the various performing artists to select the repertoire and compose the CD order," Darsey says. "We have other performances, from the recent past and those planned for the future, that we hope to release as well." He adds, "It is an honor for me to work with Dwight Andrews and the Atlanta Music Festival Steering committee; Jane Thorpe, chair; and, through our programs and this CD, to emphasize the important legacy of African American concert music, its vital role in Atlanta’s particular racial-cultural history, and its inherent artistry that has so much to offer the world." "Guide My Feet: Songs of Reconciliation, Hope, and Progress" is available via: iTunes, Amazon, Google Play and CDBaby . All proceeds from CD sales support the nonprofit work of the Atlanta Music Festival.